Accidentally did a few rounds of just k1p1 ribbing, instead of every-other round, so I extended that to an inch or so. Otherwise, this is damn simple and great gaming/meeting knitting! Only a bit of reading last year, but some really excellent stuff! TBH, I just wanted a project that wasn’t socks that would keep my hands busy in meetings, and I’ve had this yarn for more than a year with no damn idea what to do with it, and I realized last night that I don’t actually have any newish or nice hats that are ok for C to wear too. Thus: striped hat. Not sure yet whether to make M or L size, so I’ve paused at the first place where the patterns diverge. 12/16 – did the pulling back, managed to very neatly restart from the place where the sizes diverge! 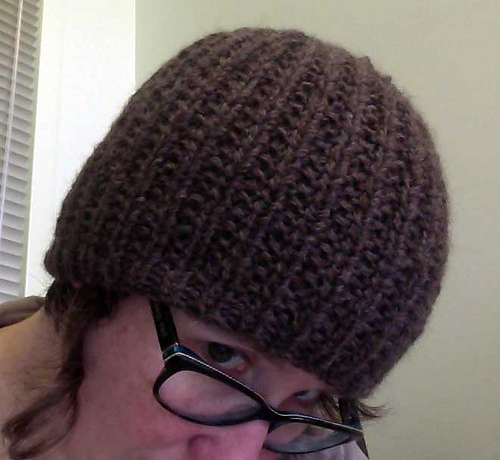 12/19 – started gusset increases. I like the way this is going, it’s maybe just a smidge over intended gauge. 12/29 – once I got through the rassafrassing heels (I really didn’t like the doubled w&t with pickups. if I’d done it better, it’d look amazing. But I had a terrible time with it.) it went really fast, and they look cozy!